Spare the rod and spoil the child? Law and order or a just and fair society? philosophical differences that are really at the heart of this discussions. Think about it, when John Boehner or Mitch McConnell respond to something President Obama has said, it’s always along the lines of challenging the President’s character, sincerity or capacity to do his job. 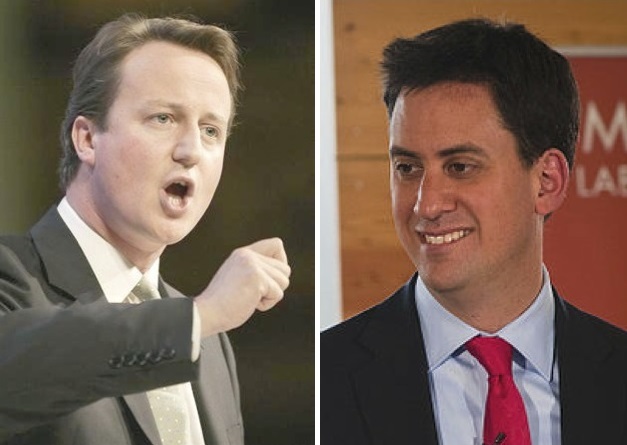 In the shadow of the horrendous rioting that rocked Great Britain in recent weeks, the Conservative Government Prime Minister, David Cameron and the Labor Party’s leader, Ed Miliband have offered incredibly different reactions to the riots that really highlight the classical philosophical divide between liberal and conservative principles. Sound vaguely familiar? In this country, a Republican would have simply accused Democrats of promoting a valueless, immoral culture of whiny-lazy people who are dependent on entitlement programs. One side is seeking law and order, the other insists that social conditions be examined to identify and address human needs. One side demands that individuals assume responsibility for their actions, the other disparages knee-jerk responses that criminalize people who are acting out of fear and desperation. One side is committed to implementing punitive repercussions; while also seeking order and civility, the progressives reject efforts to criminalize and denigrate the humanity of groups and individuals. On the other hand, the Labor leader called for a “national discussion that would give people a chance for their voices and views to be heard.” Responding to the government’s eviction of rioters from state subsidized housing, Miliband warned that efforts to encourage responsible behavior are undermined when primary social supports are punitively removed. Is there a more fundamental debate between conservative and liberals that how to respond to inappropriate behavior? Whether we’re talking about how parents discipline their children; how teachers bring order to the classroom; or, how politicians address social unrest, the question always being debated is: how do we build human character?